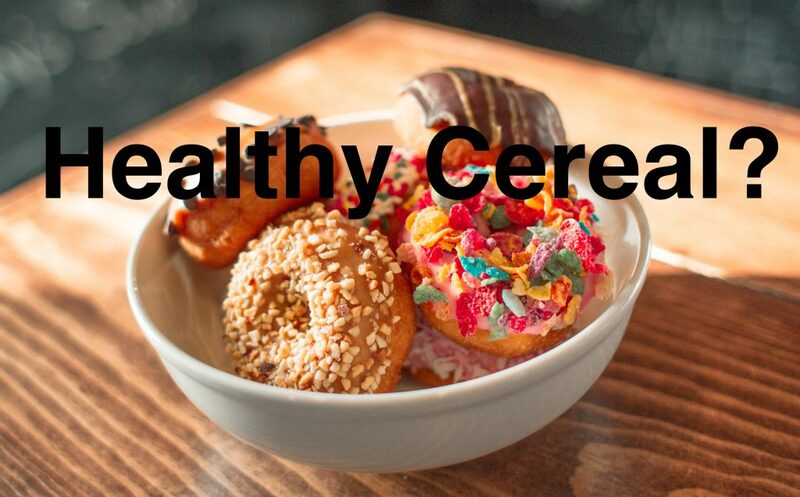 Are breakfast cereals EVER healthy? You’ve seen variations on the cereal theme – with banana, blueberries, strawberries, soya milk, goats milk but is your daily cereal EVER healthy? Recently Kellogg’s announced that they were finally going to add the ‘traffic light’ labelling to ‘some’ of their packets. Pressure from consumers has created this change, but is this enough? With 6 different types of sugar in some packets, clever packaging and fresh, vigorous images, how do you know it is healthy? If the sugar content is too high, brands simply reduce their ‘serving size suggestion’ to fit recommendations. 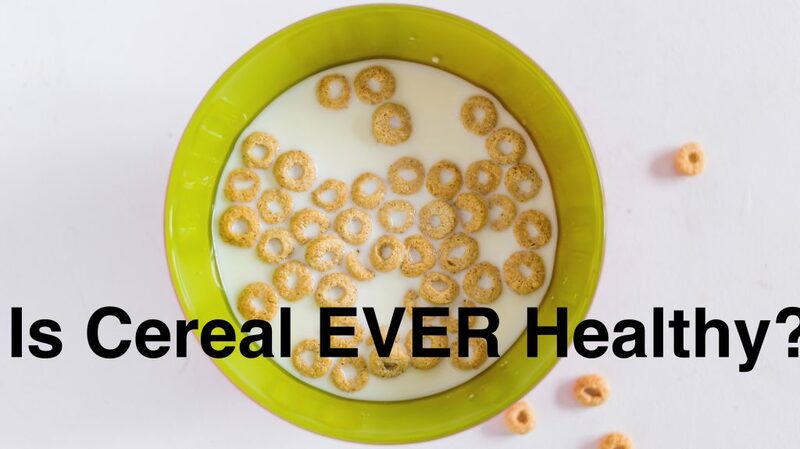 The only thing that makes cereal healthy is milk. Despite the recent changes cereals are heavily loaded with sugar and are highly processed. Is this the equivalent of a bowl of cereal? One teaspoon a daily Weetabix may sound okay, but if you add a sugary drink to your breakfast like freshly squeezed orange or apple juice that is another two teaspoons PLUS a healthy snack at break of an apple adds a further two teaspoons. Brown bread sandwiches will add another 1 or 2 teaspoons. Or how about a Go Ahead apple bake? That is 27.7g and 2 teaspoons of sugar. You can see that your ‘healthy’ lifestyle already has a number of added sugar without your favourite biscuit or chocolate treat. Fructose from fruit is wildly interesting, a whole piece of fruit is going to contain less fructose as the water content and the bulk of the fruit and fibre will help, but healthy sounding fruit sugar is fructose and both of these keep the GI ranking down simply because they are digested directly by the liver, not the digestive system. High fructose contributes to non-alcoholic fatty liver disease. A 330ml can of Coca-Cola contains 35g (1.2oz) of sugar, while a Mars bar has 33g (1.16oz) — both well in excess of the average 25g (0.88oz) limit for women. A single bar of chocolate, three yoghurts or a fizzy drink would take women over the daily sugar limit. A single bar of chocolate or three ‘low fat’ yoghurts would take the average person over the proposed daily sugar limit. Three Waitrose low-fat black cherry yoghurts provide 27g (0.95oz) in added sugars, exceeding your allowance. Children, in particular, become accustomed to this level of sugar in their diet. With high levels of glucose in their body first thing in the morning, they will be ‘hangry’ all day long – reaching for sugary snacks at break, lunch and before dinner. With glucose in your body, you can’t burn fat. Sugar is the only substance in your body that can turn into fat with little effort and your cells adore fat. Despite your best efforts of ‘low calorie’ eating, body fat will not be squandered by your body at the first sign of physical exercise, it is going to hold onto it because it is highly valuable and coats all your nerves make your brain work and you a ‘fast thinker’. Whilst granola has oats with added fibre and iron, yet the total sugar content can be extremely high. Adding nuts, seeds and some protein helps but granola also contains added sugar with healthy-sounding names pushing it up as 29g which is the equivalent of 7 teaspoons of sugar!